This past summer, we grew a great bunch of stuff on top of our roof. You know, like hipsters. We planted some stuff from seed, and picked up the rest from local gardening stores and farmers markets. One thing that I was surprised to find at our local market was a stand selling stevia plants. Stevia being a natural sweetener and a sugar substitute, I asked the vendor how she uses the plant to sweeten things. She said that she used it in full leaf form to sweeten her teas. Being the adventurous type of hipster, we bought one plant and decided to see what we could do with it. Over the summer, our peppermint (from which we planned to make teas) did not fare well and we did not reap a harvest. The stevia plant, on the other hand, did very well. We ended up with a large plant, but never used it to sweeten the tea that we were never able to make. So feeling guilty and having nothing to brag about, I decided to dry the stevia leaves and preserve them for a later time. That time was this week. Making tea from a tea bag seemed so normal, and the dried out stevia leaves hanging in our kitchen window caught my eye. 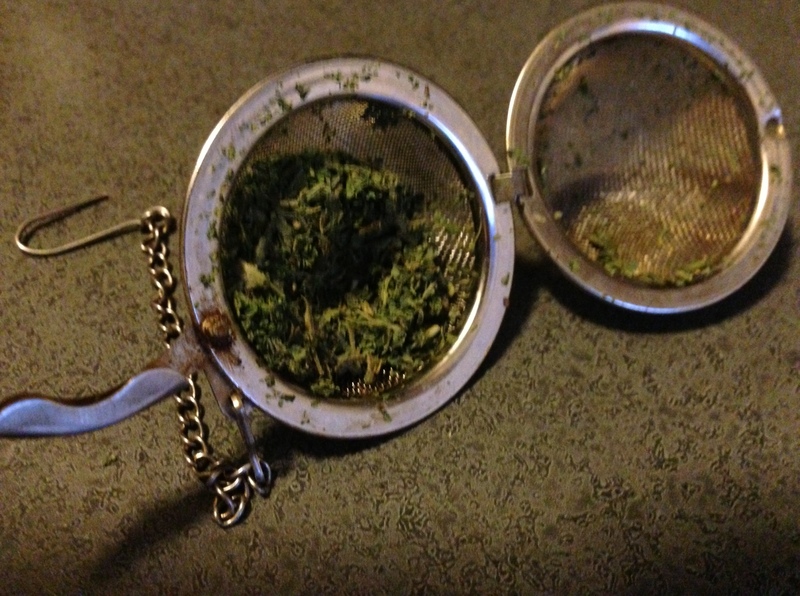 I crushed a small amount of stevia leaf, put it in the tea strainer, and steeped. To my surprise, this tea was so sweet, I almost couldn’t drink it! 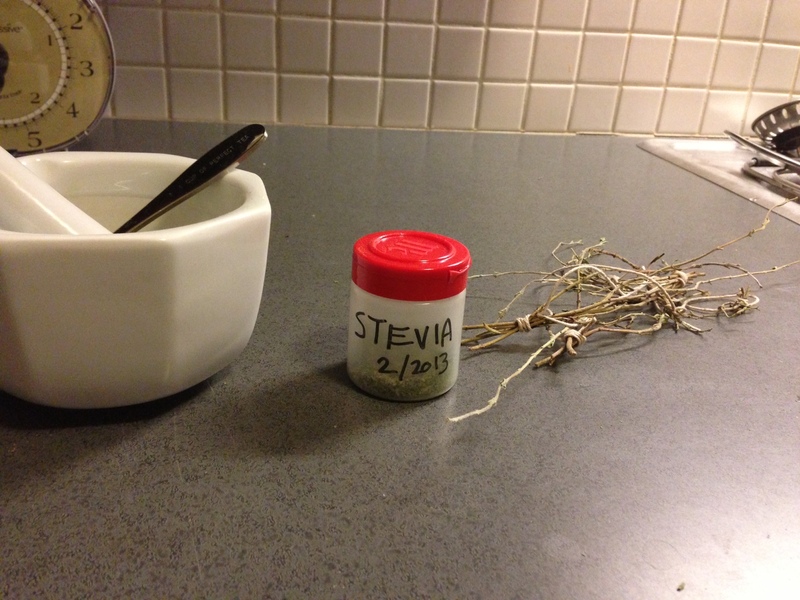 I decided to harvest the rest of the stevia and put it away for storage. I stripped the stems of the remaining leaves and crushed them in my mortar and pestle, repurposed a spice container into a spice container, and put the pulverized stevia away for another time. I had a good amount of dried leaves, but after crushing I was left with about one tablespoon of stevia powder. I’m not sure yet how I’ll use it, but I was thinking of trying to make some sugar free banana bread or something. Being the adventurous sort of hipster, I’m sure I’ll find a way to use it. 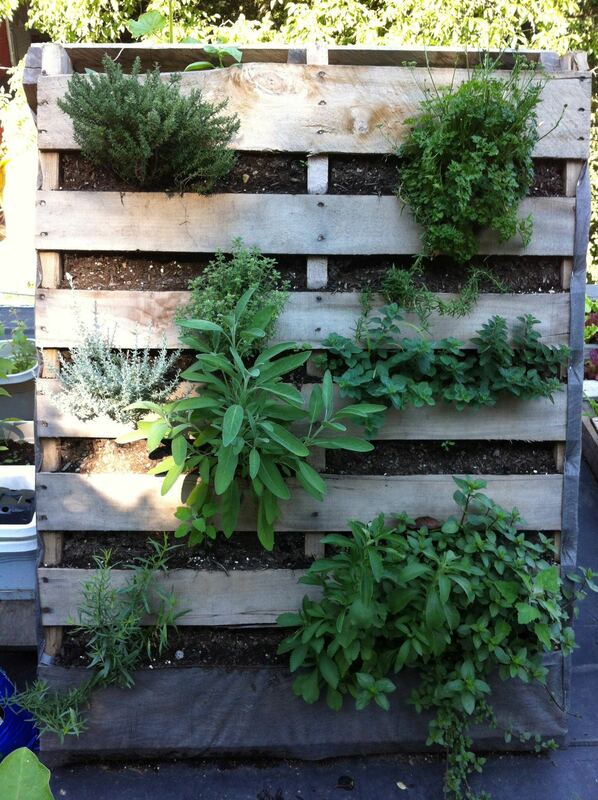 This entry was posted in Garden, How To and tagged DIY, natural sweetener, stevia plant. Bookmark the permalink.